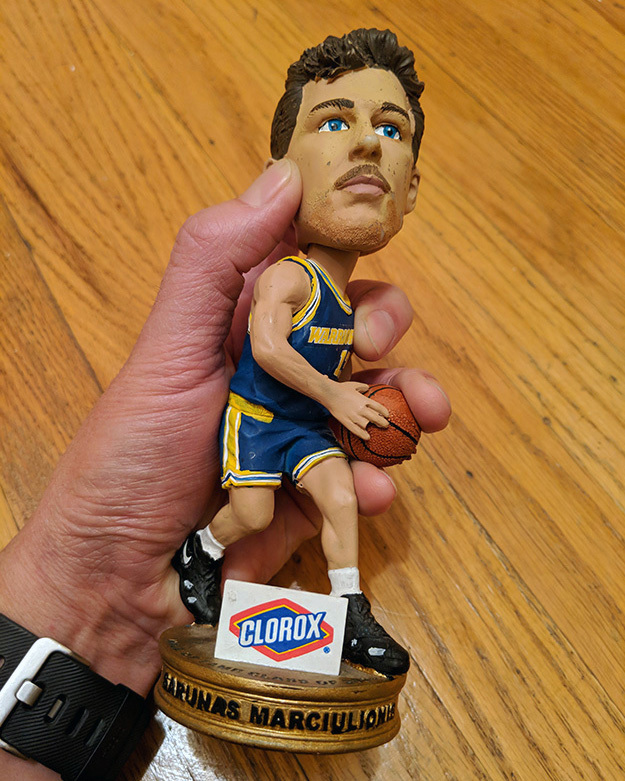 Was trying to decide on who I wanted to draw for this week’s #WarriorsWednesday post when, while at work, I stumbled upon someone’s discarded bobblehead of this player. It felt like the fates decided for me, since this player was already under consideration. 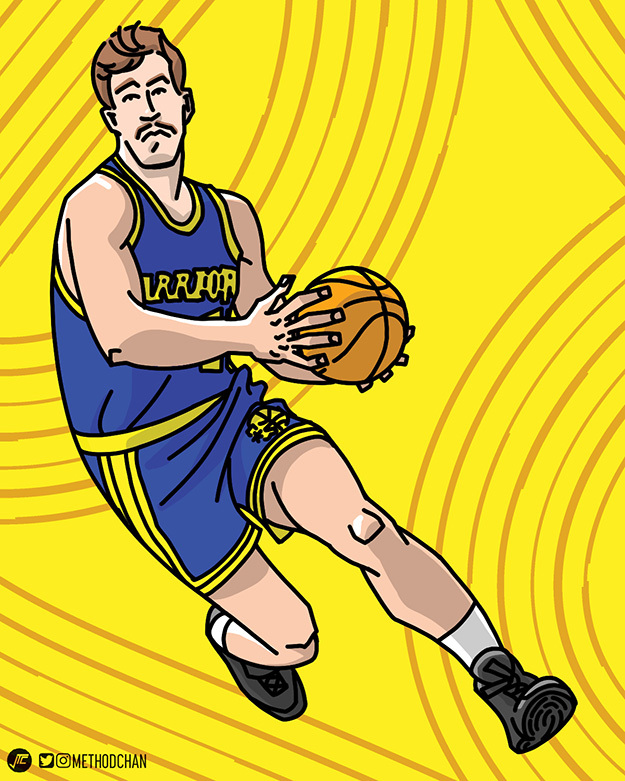 So, this week’s post is the godfather of the Eurostep in the NBA, Sarunas Marciulionis! Yep, that’s right NBA fans – though popularized by James Harden and seemingly started by Manu Ginobili, the player credited with first bringing the Euro step to the NBA was this ex-Warrior. He was the first Soviet player to join the NBA, 2 years after the Warriors drafted him in the 6th round of the 1987 NBA Draft AND the Atlanta Hawks getting the pick voided due to Sarunas being 23, one year older than the age limit for European players back then! He played 4 seasons with the Warriors from 1989-1994 and was runner-up for the Sixth Man of the Year in 1992. He was inducted into the NBA Hall of Fame in 2014 and the FIBA Hall of Fame in 2015.